I’m quite certain that this is some kind of extravagant dream. Or, perhaps I have stumbled back in time. A myriad of textures beckons my senses. Red and blue Mexican-tiled floors gleam beneath original, preserved wood-slatted ceilings. 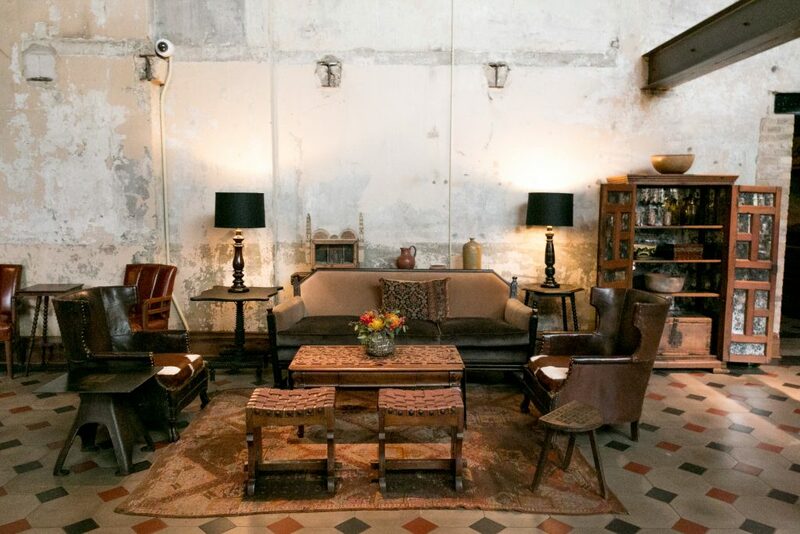 Chipped plaster walls reveal worn red brick and rough masonry elements, while rugged, exposed piping contrasts with luxurious vintage furniture. A lovingly preserved bright red ammonia compressor anchors the room. Above me hangs a twinkling light fixture, comprised of labelling tools for beer bottles. 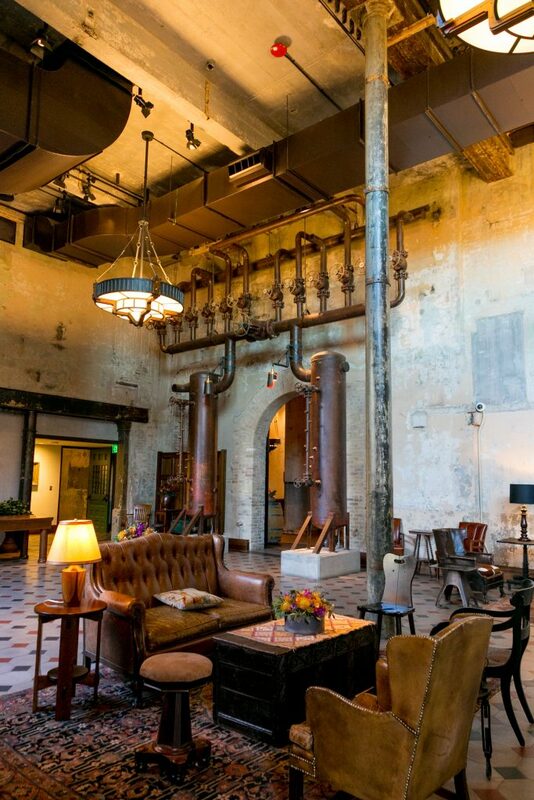 I am standing in the lobby of the Hotel Emma, a chic new hotel situated near the San Antonio River in the eponymous Texas city’s historic Pearl District. 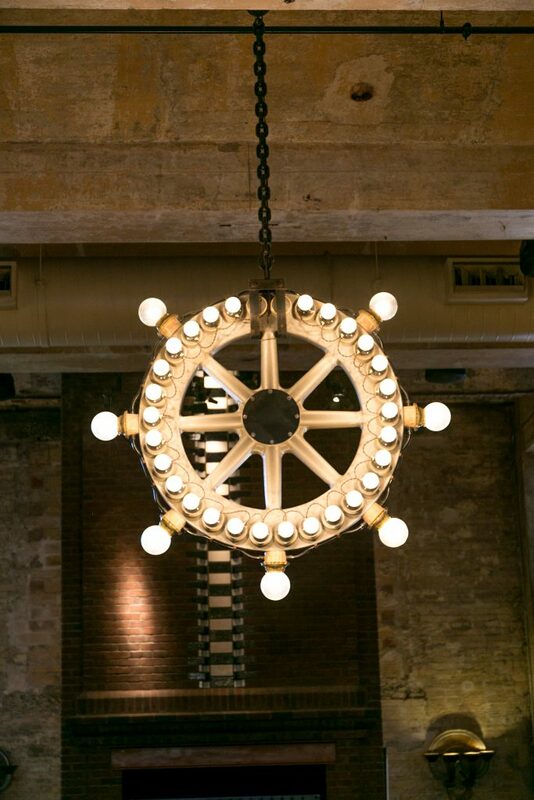 This luxe space was once the engine room of the Pearl Brewery, founded in 1881 and closed in 2001. 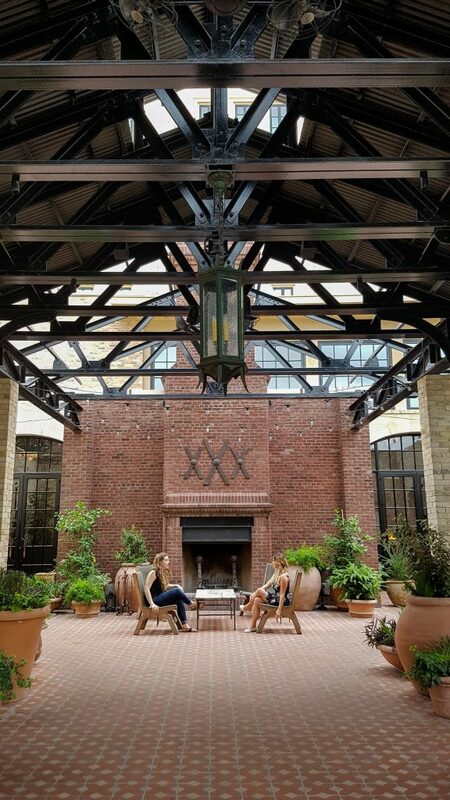 The thoughtful preservation of the brewery’s 19th-century architecture and industrial fixtures lends the hotel an eclectic flair, an artfully balanced tension between past and present, with plenty of grit in its glamour. Hotel Emma typifies the Pearl District, a revitalized, hip neighbourhood built on what was once the state’s largest brewery complex. 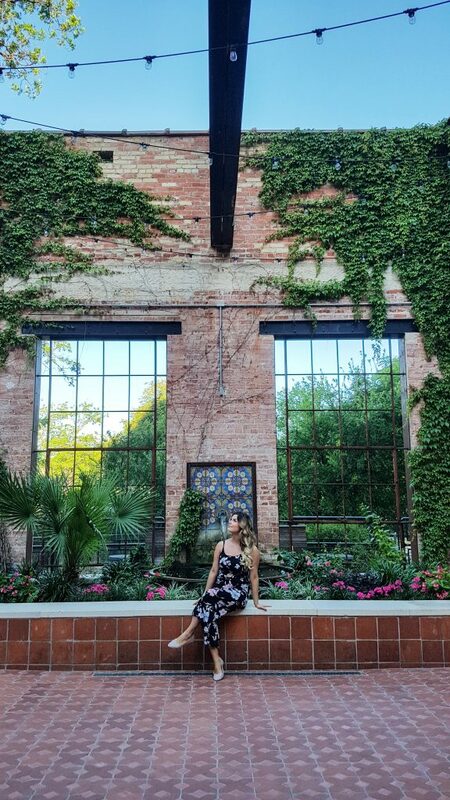 Just a short stroll from San Antonio’s famous RiverWalk, the Pearl now stands as a unique reflection of a treasured part of the city’s vibrant, multicultural history. An intriguing hand-picked mix of niche restaurants and boutique shops beckons culture-seekers, while the district’s three public spaces host regular free events with a distinctly Latin flair. 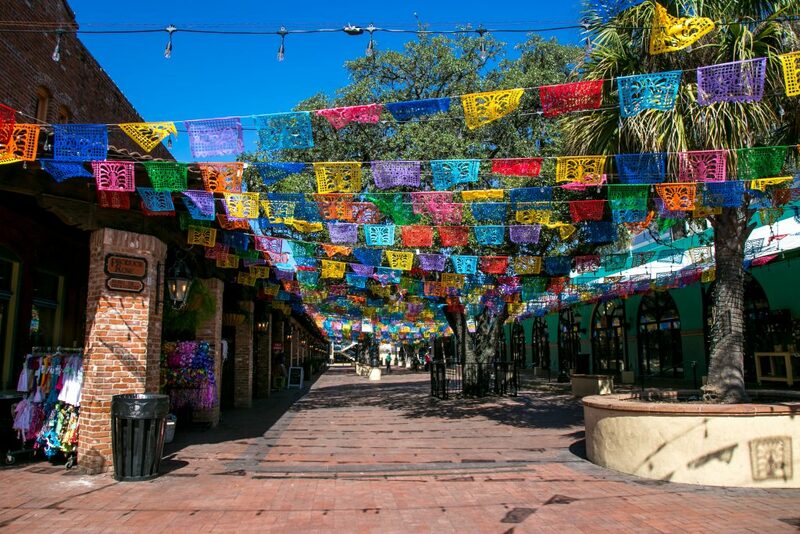 San Antonio is unmistakably proud of its past. After all, this is where the events that inspired the famous Texan battle cry “Remember the Alamo!” took place. The subject of that legendary exhortation is only a short drive away from Hotel Emma, and I’m eager to check it out. Admission to The Alamo and historic grounds is complimentary but there is a nominal fee for guided public and private tours. Led by an enthusiastic middle-aged gentleman, my travel companion and I follow a group of about 15 history buffs along the original footprint of the Spanish mission. Our tour interpreter speaks passionately about the event that captivates the hearts of Texans to this day: the 1836 Battle of the Alamo, where for 13 days, 200 Texan insurgents fought for freedom against a Mexican force numbering in the thousands. Although they were ultimately overpowered, the Alamo now stands as a symbol of Texas’ liberty. Our tour is near its end when we approach the front door of a familiar building. “This is it?” I think as I take in the sight of the famous limestone chapel, which stands barely 30 feet high from the ground to the top of its scalloped facade. It strikes me as a pint-sized replica, rather than the sprawling fortress I’ve seen defended indefatigably in the movies. But I’ve learned that what the Alamo lacks in size, it makes up for in meaning. 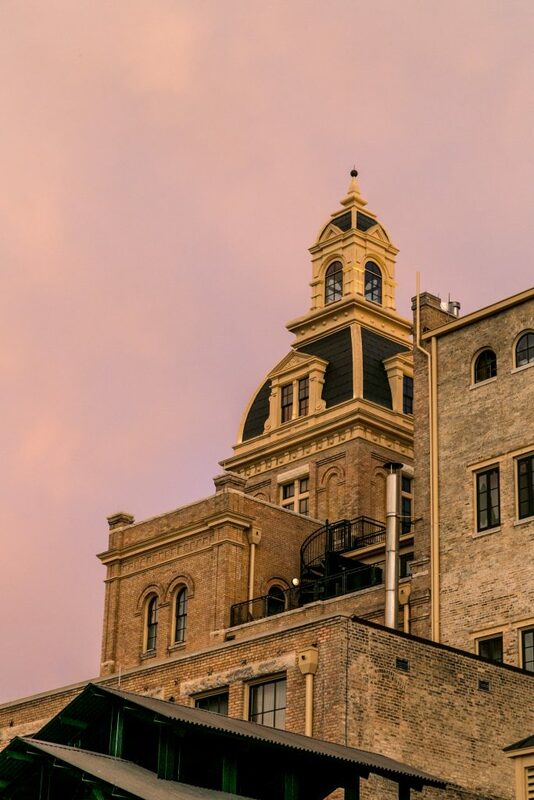 There are many other shining examples of San Antonio’s commitment to historical preservation nearby. 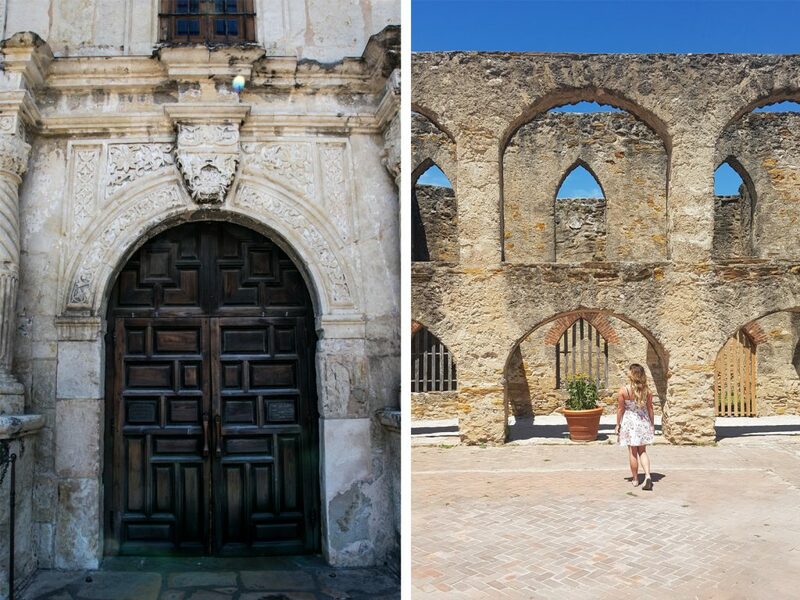 San Antonio Missions National Historical Park — a UNESCO World Heritage Site — contains four Spanish missions (Concepción, San Jose, San Juan, and Espada) established by the Catholic Church to spread Christianity to the indigenous people inhabiting the area. These 18th-century Franciscan complexes are spaced two to three miles apart along the San Antonio River. All four mission churches still have active Catholic parishes today. The best way to explore them is via the Mission Reach nature trail system. This ambitious ecosystem restoration project has transformed an eight-mile section of flood diversion channels at the southern end of the San Antonio River into peaceful pedestrian and bicycle paths, connecting the famous RiverWalk to the Missions. But lest you think San Antonio is stuck in the past, venture upriver from Mission Reach to the RiverWalk, the longest urban linear park in the United States, and you’ll find a simmering atmosphere of celebration, where San Antonio’s heart pulses to the beat of the music floating out of the cafés and shops lining the cobblestone paths. Brightly coloured umbrellas shade busy riverside tables. Couples, families and groups of friends duck in and out of eclectic boutiques, hunting for Tex-Mex treasures. People lean over the railings of arched footbridges to snap photos of the flat-bottomed river taxis that glide lazily underneath. The ground is peppered with confetti left over from the previous week’s fiesta. This is a photographer’s paradise, and I snap away as our barge winds its slow way down the river. Later, as I lay my head on the soft white sheets of my four-poster bed at the Hotel Emma, I reflect that San Antonio has done an admirable job combining the old with the new, the Mexican with the Texan, the utilitarian with the ornate. The result is a city with a character and a style all its own. 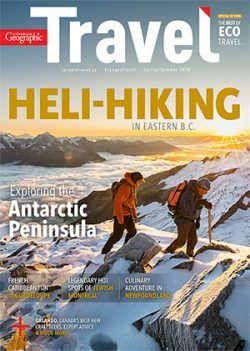 It speaks to what is possible when individual cultures, traditions and styles are honoured and celebrated.